With both Super Bowl LII in Minneapolis and the Winter Olympics in South Korea looming, NBC Sports is fast approaching one of the biggest, busiest months in its history. But that doesn’t mean the Peacock has taken its eye off the ball (or the puck) for this weekend’s NHL All-Star Weekend in Tampa Bay, FL. 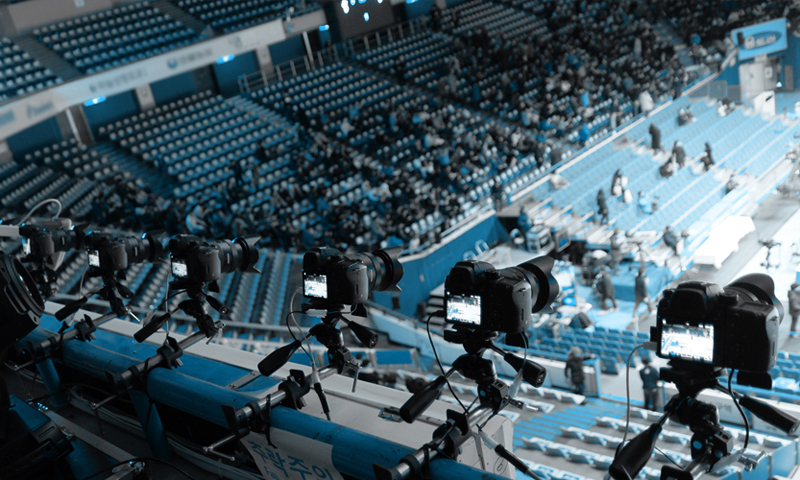 In fact, the debuts of a 360-dregee, four-dimensional replay system and a 360-degree jib camera known as JitaCam mark one of NBC Sports’ most innovative efforts yet for the NHL’s midseason celebration. NBC Sports and 4DReplay will position 100 cameras around the perimeter of Amelie Arena in Tampa Bay for the NHL All-Star Game. Working with San Jose, CA-based 4DReplay Sports, NBC Sports will add 360-degree swooping replays to its coverage of both the Skills Competition and the All-Star Game. The looks are similar to those produced by the freeD technology that Intel acquired in 2016, but the process is quite different. At Amalie Arena, the 4DReplay system will deploy 100 high-speed 4K cameras, with 50 placed on each side of the ice, from blue line to blue line, and in the back of each net. A game-changer for this system is the quick rendering time (the company says 15-30 seconds) in building a replay, meaning that NBC Sports can essentially call up these replays as quickly as a normal replay. JitaCam is a large, 360-degree crane that will be affixed to a truss 40 ft. above the ice around the center-hung scoreboard. As for the JitaCam, NBC Sports and the NHL have affixed the large, 360-degree crane to a truss 40 ft. above the ice around the center-hung scoreboard. The mobility of the structure allows much more freedom that a traditional jib would offer on the ground. JitaCam will also provide captivating access and angles on some of the events that take place during the Skills Competition. The 2018 All Star Skills Challenge will take place on NBCSN on Saturday at 7:30 p.m. ET; the 63rd Annual NHL All-Star Game will air on NBC Sunday at 3:30 p.m. ET.